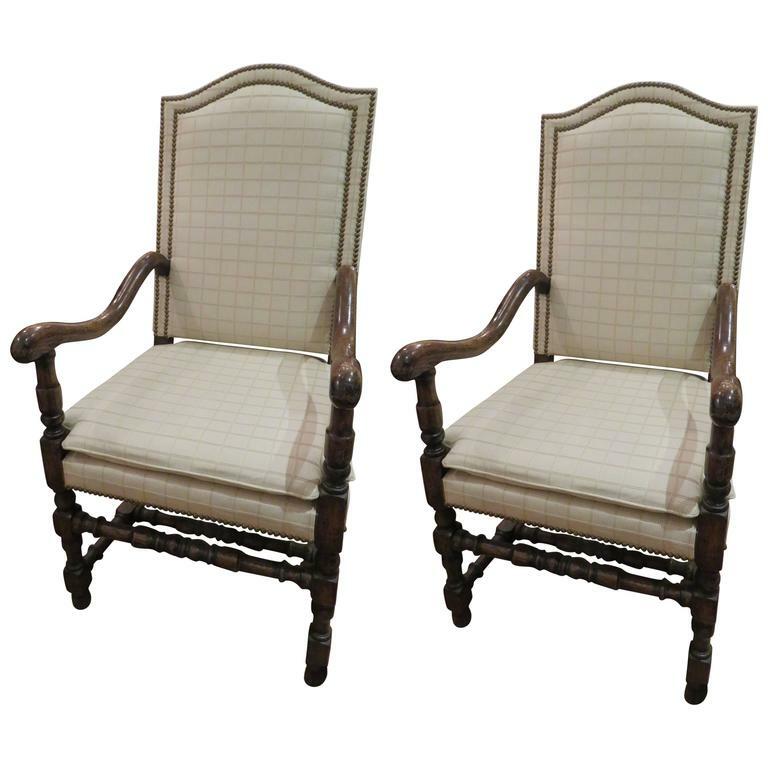 Pair of English Jacobean Revival oakwood armchairs. Immaculate upholstery from the 1960s (Clarence House Fabric) antique brass nailheads, curvaceous arm rests, camel back top, comfortable. English Oak Jacobean style arm chair with heavy relief carvings on the back and a box stretcher, circa late 19th century. Gilded and polychromy lacquered wood English Egyptian revival armchairs, legs and back lacquered faux bronze, 20th century. Charles Bevan for Marsh Jones and Cribb, attributed. A good quality Gothic Revival oak armchair with geometric inlay and finely carved leaf and berry decoration to the head rail.